During what times does the service operate? 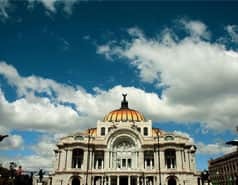 The first Mexico City Tour buses set off at 9 am at the various stops along each route. The service concludes at 9 pm. On Sundays alternate roads are used on some of its routes due to traffic closings on the bicycle route. The Historic Centre and the South routes last three hours. The Polanco Hipódromo-Chapultepec and the Basilica routes last two hours. How frequently do the buses run? Thanks to our large fleet, a Mexico City Tour bus runs every 20 minutes, though this frequency can be affected by traffic or by circumstances affecting some of the routes. Is there anybody on board who can provide me with more information about the service? Yes, every bus has a bilingual guide on board who will try to answer your questions about the Mexico City Tour service, as well as recommend interesting spots in the city and its surroundings. Where can I get on the bus? You can get on the bus at any one of our stops. If you don’t have a ticket yet, you can buy one on board. Can I go and come back with the same bus? The Mexico City Tour routes are circular, meaning you can return to the bus stop where you picked up the bus or to any other stop at any time, but all the routes are always circular. What advice do you have for the main routes? We recommend using sun block, a cap or a hat. Stay hydrated, wear comfortable clothing and sunglasses. All of our buses are red, double-decker buses with an open-air top deck. Do the buses have audio guides? Yes, all our buses have an automatic audio guide system in seven languages: Spanish, English, French, Italian, German, Japanese and Portuguese. There is also an eighth channel specifically for kids aged 4 to 12. Is there space for a wheelchair? All Mexico City Tour buses have access ramps and spaces for wheelchairs inside the vehicle. Do the buses have a WC? The buses on the main routes do not have a WC and only stop at the designated stops. Can I change routes on the same ticket? Yes, the ticket is valid for every route so you can get on and off at any stop as long as you have a valid ticket. You can buy your ticket on board any of our vehicles, at different official points of sale, on our website and through the City Tour Worldwide app. To get a group discount you must first call our SALES or OPERATIONS department, which will confirm the discount. Can I hire out a whole bus for a private tour? Yes, we offer special rates for private services, which can be customised. Email us to check the conditions or call us on 514-11360 ext. 2000. Is there a special reduced price for senior citizens? Yes, we have a special rate for senior citizens. Seniors must show proof of membership in INAPAM to get the discount. From what age do children need to pay? The children's rate is applicable from the ages of 4 to 12. Those over the age of 12 must pay the adult rate. You can check our fares on our website. One-day tickets are valid for an entire day, until the completion of the service on the day of purchase. Two-day tickets are valid for two consecutive days. The one-day bracelet can be changed for the two-day bracelet if the user prefers by simply paying the difference in price. Do I need to print my tickets if I buy them via the Internet? All tickets purchased online must be printed out, since a paper ticket must be shown when first boarding a bus, at which time you will be given a ticket and the other materials. I've lost my ticket. ¿What can I do? Unfortunately is only possible to travel on the bus with a valid ticket and loss or theft does not entitle any changes or refund. Other proof of payment or reused vouchers are not accepted. Once acquired, the same should be retained since it will display both entering the bus and routine inspections. It’s customer responsibility to ensure that the ticket has been given and, if not, claim personnel on board at the moment of purchase. Yes, you have to present the voucher on paper when you first board the bus, where it will be exchanged for a ticket. Can I travel with luggage? Our buses do not have luggage compartments, so you can only travel with hand luggage that you can carry and which does not occupy any extra seats or block the aisles or emergency exits. Unfortunately you cannot ride with large suitcases or packages. Can I travel with a child’s pram? You will need to travel on the lower deck, and if possible the pram should be folded. It must go in the space set aside for wheelchairs, meaning the disabled have priority and you must move your pram if required. Are there any specific safety rules when travelling on-board? 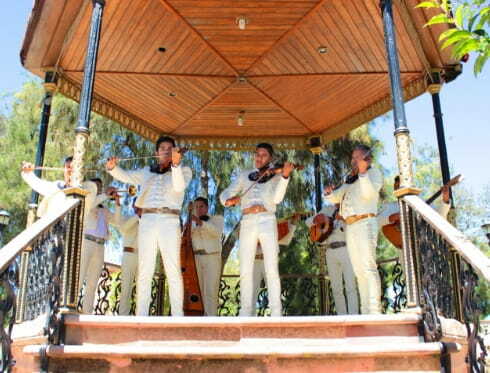 Since the Mexico City Tour is a service offered on moving buses, it is important to follow carefully all of the safety rules specified by the staff and described in the audio guide. It is not permitted to stand up, eat, drink, smoke or travel with an open umbrella on the upper deck while the vehicle is in motion or to throw anything off the vehicle. For your own safety, do not throw the headphones at overhead electrical wires. No animals or pets are allowed on board Mexico City Tour buses. Do I have priority access to the bus if I already have a ticket? No, all passengers are expected to wait in line at the stops regardless of whether they already have their bracelet or not. Can I smoke on board the bus? No, it is prohibited to smoke anywhere on-board any of our buses. Is there the possibility of going on any optional excursions? Yes. 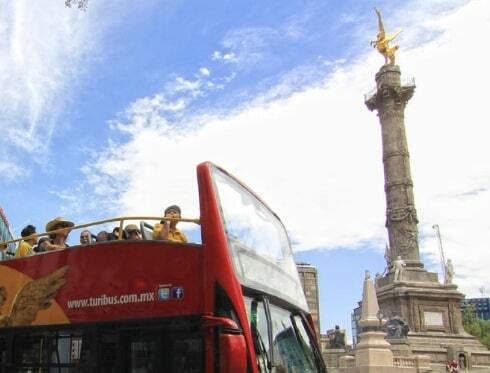 Mexico City Tour bus staff will inform you on board our buses, where you can get special discounts and other benefits. I have made a purchase on the webpage but I am not sure if it has been processed correctly. How can I know it? I have made a purchase on the webpage but I have not received the voucher. What do I have to do? If you make a purchase and do not receive any email with the vouchers attached, please, contact us in customers-mex@julia.net and we will send them to you.